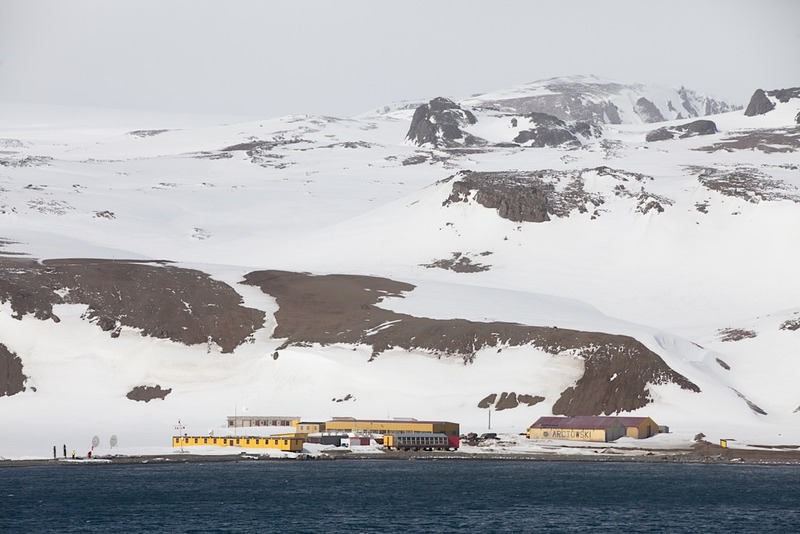 Polish Research Station: Location of King George Island in the South Shetland Islands, Arctowski Station is one of the most-visited scientific stations in Antarctica. The beaches near the station, you’ll find whale bones, relics of the time when the site was used to process whales killed nearby. © 2014 Avid Travel Media Inc. I find it to be fascinating that people actually live in Antarctica year-round. Though the population is mostly seasonal, with up to 4,000 researchers manning outposts during summers, many stations are staffed year-round. One year-round station is The Henryk Arctowski Polish Antarctic Station, named for a meteorologist who proposed the “wind chill” factor, positing that the wind factors into how cold the weather feels. On our last day in Antarctica, Seabourn Quest anchored near Arctowski Station. We zipped ashore on Zodiacs to see Adelie penguins and whale bones along the shoreline, relics of the time when the site was used to process whales killed in the region. I don’t know that I’d want to return to Arctowski Station during the winter, but I’m not totally opposed to the idea either. I’m sure Antarctica has beauty in all seasons. What I do know for sure is that even though I have been twice, I would visit Antarctica again in a New York minute.